FirstDown PlayBook 2.0 Draw & Edit First Peek! Sixty days from now, many of us will be in San Antonio, Texas as we begin three days of football at the 2019 AFCA convention. A little early to be thinking about that? Maybe, but we wanted to mark it down and use the occasion to give you a quick first peek at the new FirstDown PlayBook 2.0 Draw & Edit tool that we are launching at the coaches convention. 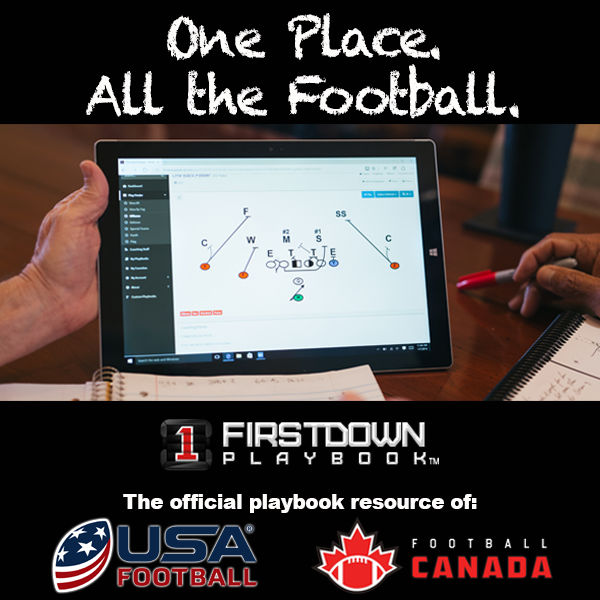 FirstDown PlayBook also wanted to make sure that you are aware that if you or your coaching staff gets involved with this before San Antonio then we are offering it to you at a 50% discount. FirstDown PlayBook has never been big on sales, but what we have consistently done (check it out) since we launched in 2015 is offer rewards to those customers who sign up early when we release our coaching tools. This company was created by and is run by football coaches. We understand the value that this new Draw & Edit Tool is going to bring to football coaches around the globe. There has never been a football coaching tool that will save you and your football staff as much time as this will. There are many of you who have patiently waited as we grew enough to develop this and to you we say thank you for your patience. Those of you who have jumped on board early, trust us when we say that you will be glad that you did. So, today we just wanted to also give you a quick peek at the new Draw & Edit Tool. It’s obviously still in production so the important thing for you envision is drawing high-quality football plays but more importantly, you should envision never having to draw a football play, card or install from scratch ever again. FirstDown PlayBook is about to provide you with a full-time Graduate Assistant/Quality Control coach that will save you and your football staff a ton of your most precious asset…Time.